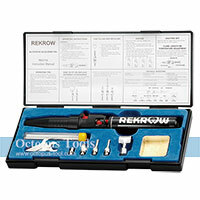 ◆ Ideal tool for soldering, auto repair and jewelry. 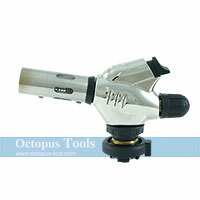 ◆ Please contact our sales team (trading@octopus.com.tw) for more information on this product. 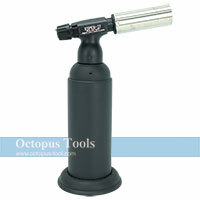 ◆ Torch can be used for up to 60 mins. 1. Naked flame welding - temperature up to 1,300°C or 2,400°F. 2. 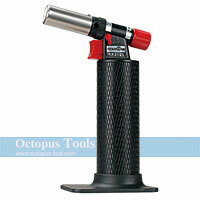 Soldering - temperature up to 500°C or 930°F. 3. 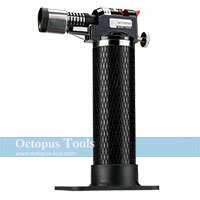 Hot air shrinking - temperature up to 500°C or 930°F. 1. Cooking - caramelizing, browning, adding color and texture to food. 2. Camping - BBQ, igniting campfire. 3. Hobby - DIY craft. 4. 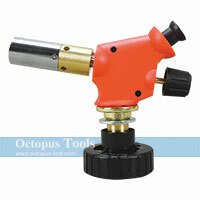 Professional Use - mold or metal welding. ◆ Temperature is up to 1200℃. 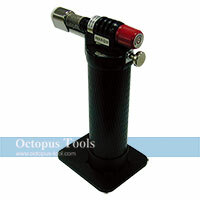 ◆ Adjustable flame control and self-ignition. 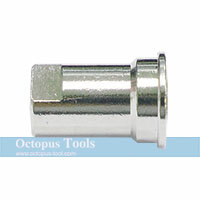 ◆ Compatible with standard butane gas cartridge. ◆ Fuel is not included. ◆ Temperature is up to 1300℃. ◆ Easy and safe operation.